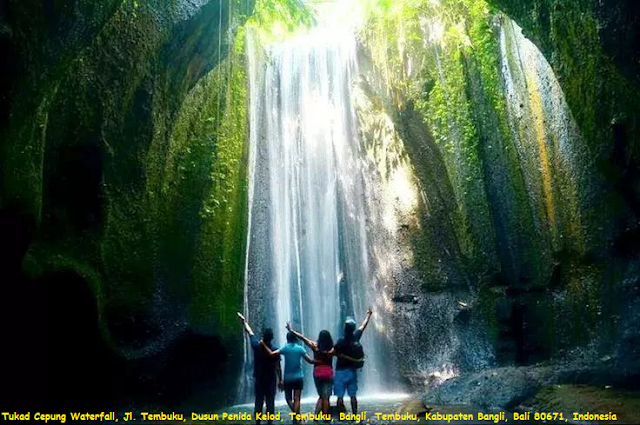 Tukad Cepung Waterfalls, unlike most waterfalls, this waterfall surrounded by cliffs that the circular shape. But you should be cautious yes, the river is above the waterfall can suddenly overflowed tablets. If so, you can not go this spot because it is very dangerous. We recommend that you ask in advance whether the river flow waterfall is being overflowed or not. Tukad Cepung Waterfall located in Jalan Tembuku, Dusun Penida Kelod, Tembuku, Bangli regency. It’s about 1 hour 13 min from Denpasar City or 1 hour 26 min from Ngurah Rai International Airport.